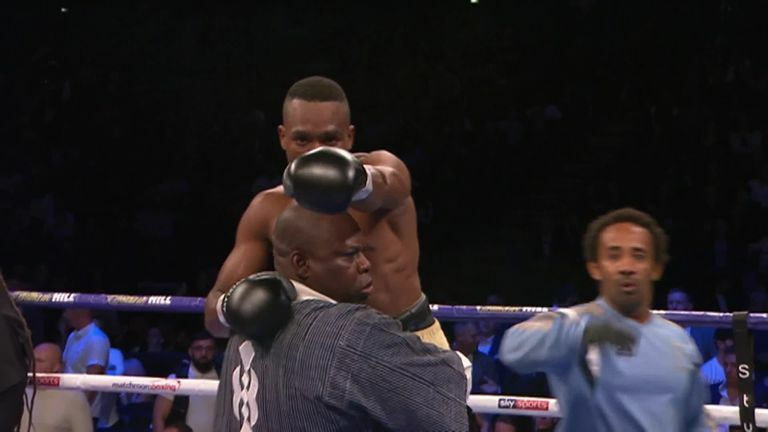 Sam Eggington was on the end of a devastating defeat in Birmingham as he was stopped by Hassan Mwakinyo inside two rounds. In what was supposed to be a routine outing for the popular Stourbridge man things came crashing down for 'The Savage' who was pummeled from pillar to post for one-and-a-half rounds before the referee mercifully waved off the contest. The defeat puts a huge dent in Eggington's plans for a major fight later on in the year. Mwakinyo, by way of Tanzania, came out the blocks firing, clearly intent on making the most of his moment on the big stage. The 23-year-old unloaded a barraged of flush shots on the home fighter in the corner to finish the first and that spelled the beginning of the end for Eggington. The minute in-between rounds did little to knock 'The Savage' into gear and he came out to face a relentless flurry of thudding blows. With no answer, the contest was done.